A BBS for any amateur radio operator that wants to participate and talk about any topic! File areas and Ham Radio Practice tests are provided. Command-ilne museum retro environment. Attempts to mimick experiential aspects of the usenet/arpanet circa 1980-1990. Running the R2 edition of Image BBS v2.0 Testing modifications and online game ports. 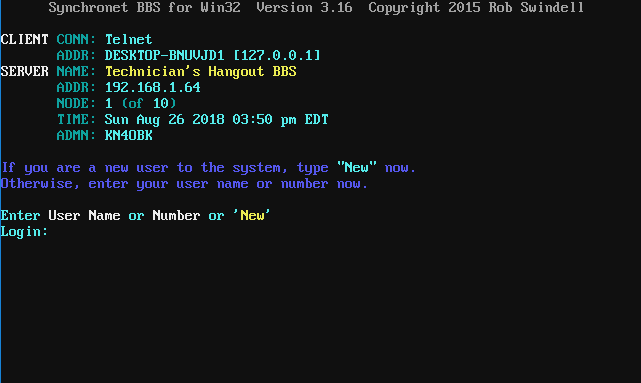 Tiny’s BBS is back running Ezycom. Have some great door games, and the best message networks. 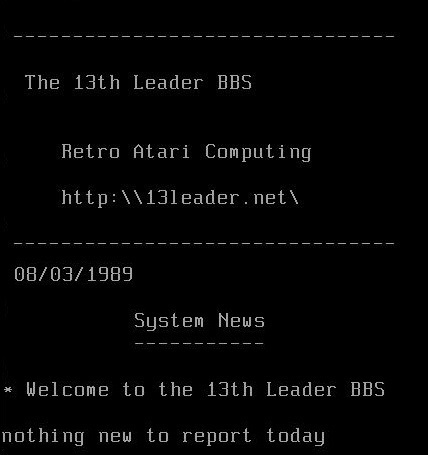 TIny’s BBS has been around since 1985 with a short break to become web only for 2009. Great file base, Great doors, Great Files, free access, check us out now! Also offer Telnet/ssl on port 2323. In addition to being the alpha site for NanoBBS, Rancho Nevada, TommCHAT, and numerous other doors and DOS utlities, Tommy’s Holiday Camp briefly held the world record for most text files on a site in 1994. As a dialup BBS, THC had six phone lines. As a telnet BBS, we’ve started at 72 nodes! 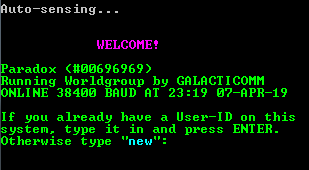 One of the oldest and biggest (user & port count) BBS in Germany – still available via telnet. 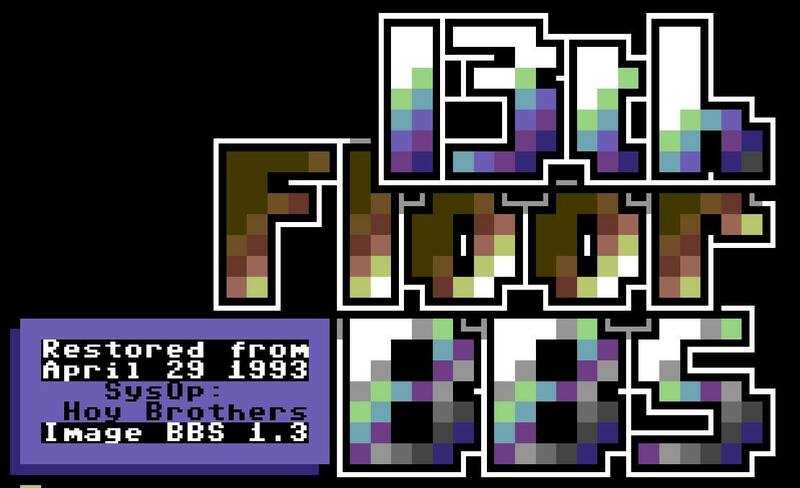 A reboot of a 90’s BBS.